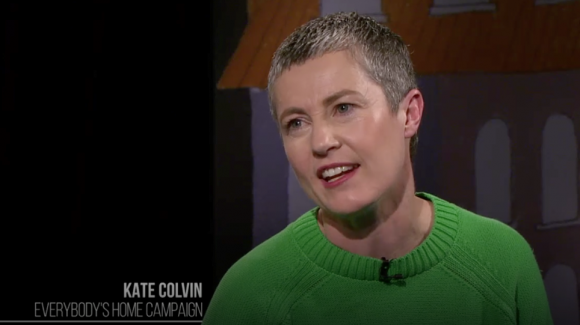 With homelessness rates rising rapidly, Kate Colvin, policy manager for Council to Homeless Persons, and spokesperson for the Everybody’s Home Campaign, is battling to make housing insecurity heard by the powerful. She’s this week’s Changemaker. When a Melbourne multi-story apartment block was evacuated after a fire, and reports emerged that there were one and two bedroom units with up to 10 beds in them, there was outrage. But according to Colvin, this is a reality for many in Australia, with decades of poor investment in social housing by governments to blame. She says the issue of homelessness and housing instability is a complex one, with the only way to solve the rising issue being a genuine investment in social and affordable housing from all levels of government. With over 20 years experience in the sector, she’s putting the issue on the table for everyone to see, and changing the way we think and talk about homelessness. 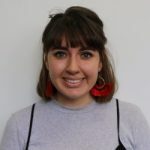 In this week’s Changemaker, Colvin talks about why she started out in the sector, the changing face of homelessness and how she stays motivated. Why did you get involved in the homelessness sector? I guess I’ve always been passionate about social change, and when I was first starting out, I could see that housing played a really important role in people’s lives. When the role came up at Council to Homeless Persons (CHP), I was really enthusiastic about it, and saw it was a way to make a change to the sector. It’s an area that hasn’t been making the progress that it needs to be, so since starting at CHP I’ve been involved in different campaigns trying to build public support for changes that need to happen around housing policy. Colvin featured on SBS show, ‘Filthy Rich’. How have you seen the issue change and transform since working in the space? Over time, there’s been a greater recognition that broader issues around housing policy, like tax policy, have an impact on outcomes for people in the rental market. That’s something I’ve really seen change. In terms of homelessness, it’s really sad to say that the problem is getting worse. When I was working on housing policy 10 years ago, affordability was a real problem in the community, and that was certainly leading to homelessness. But the problem of affordability and rental housing has actually gotten worse, and it’s worse now than it was before. How do you stay positive when the issue is obviously getting worse? I can see that we are making a difference in the public debate, so I think the space in which I operate, day to day, it feels like forward progress. In a way I find it more energising, that the problem is worse, because it’s really important we make progress, and I know that we are, so that keeps me going too. What does a day in your job look like? Day to day, I manage policy and communications at CHP, and then I am also the spokesperson for Everybody’s Home, which is more of a passion project. It connects with my role at CHP, but it’s really in addition to it. So on any given day, I’d be working on Victorian policy issue, and we’ll be managing a small team and producing deep policy conversations that need to happen. Then there’ll be media things that are happening in Victoria and I’ll be in contact with the national operations group for the Everybody’s Home Campaign, which is a set of people like me, who are doing that on top of their ordinary job. We’ll be discussing issues on email and often on phone calls, and potentially on media for the national campaign. Sometimes there’s lots of different things happening at the same time, but that’s all made possible and easier by the fact there is really great people in the CHP office, and in the Everybody’s Home campaign, and we get great support from Essential Media. With the upcoming federal election, what are you hoping happens in terms of social housing? We were really pleased by the policy commitments Labor made at the end of last year about affordable housing, and we’d love to see an even deeper commitment that’s about delivering social housing as well from Labor. We’d still like to see the Coalition come out with some policies to solve the challenges in the rental market. There’s a sense they don’t know how much people are hurting in the community because of this issue. We keep trying to connect and encourage them to develop good policy, but it feels like they’ve got a bit of a tin ear about it. What is something about homelessness, or housing affordability that the average person might not know? When the high rise building in Melbourne was evacuated because of a fire, the police found there were one and two bedroom apartments that had 10 beds in them. That is the reality of how people on single incomes, and single people on low incomes are forced to live. There’s no affordable place they can rent on their own. That’s actually really common, but rarely gets attention. People think overcrowding is when two siblings have to share a bedroom, but it’s not about that at all, it’s about this extreme crowding of people into small spaces. You can imagine how impossible it would be to study, or do anything really, when you’ve got so many people living in such a tiny space. I don’t think people realise that’s what the consequences are of our housing policy as it stands. Looking into the future, what are some of the changes you’d like to see happen before retiring from the sector? The number one change that would really make a difference is more social housing investment, from federal and state governments. Not just 100 or 200, we need thousands of new social housing properties around the country. What’s your favourite part of working in the sector? One of the things I really value about the community sector, is that people have such a collaborative spirit. It’s never difficult to convince people that we should work together to change big problems like housing policy. In Everybody’s Home, over 100 organisations have banded together and are sharing resources to put towards the campaign, and that’s just because there’s this great spirit of collaboration. People have a commitment to building a better and fairer community, and are prepared to back efforts to do that. That’s not common for every sector, but is a proud tradition of the community sector, which I really love.